The Cayuga Green development is a three-phase, mixed-use project in the center of the City of Ithaca. 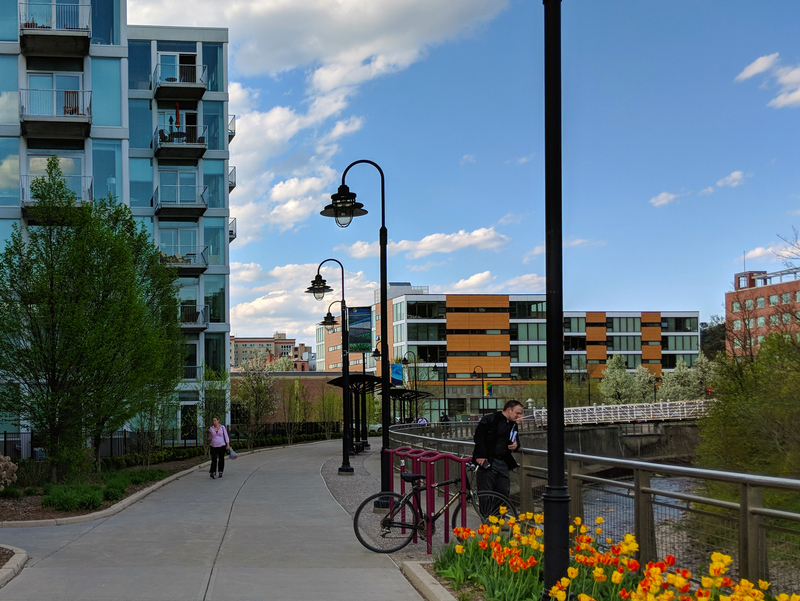 The project combines rental and condominium housing, retail space, an independent theater, professional offices, the public library, a transit center, and two municipal parking garages. The mixed use development is anchored by the Six Mile Creek Walk and Cayuga and Green Streets. 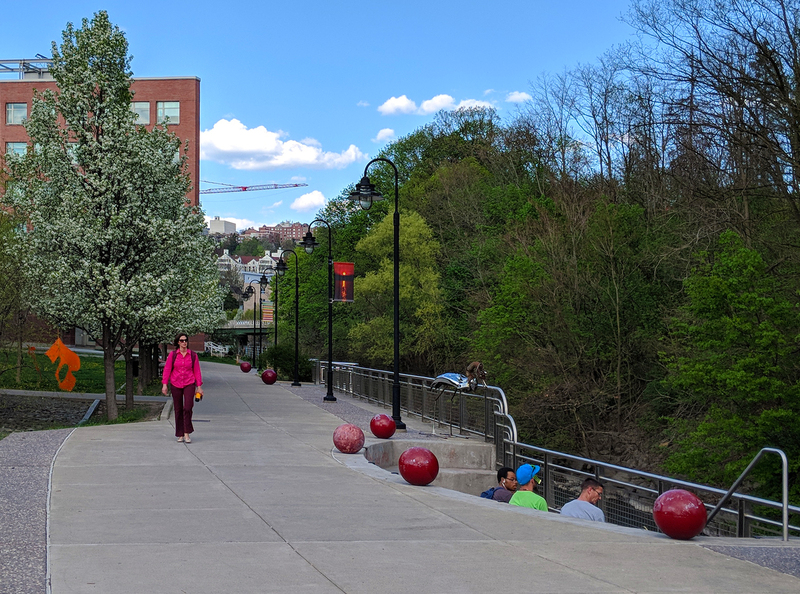 The Creek Walk is a promenade that links the new facilities and several new urban plazas to the street network as well as other trails in the city. 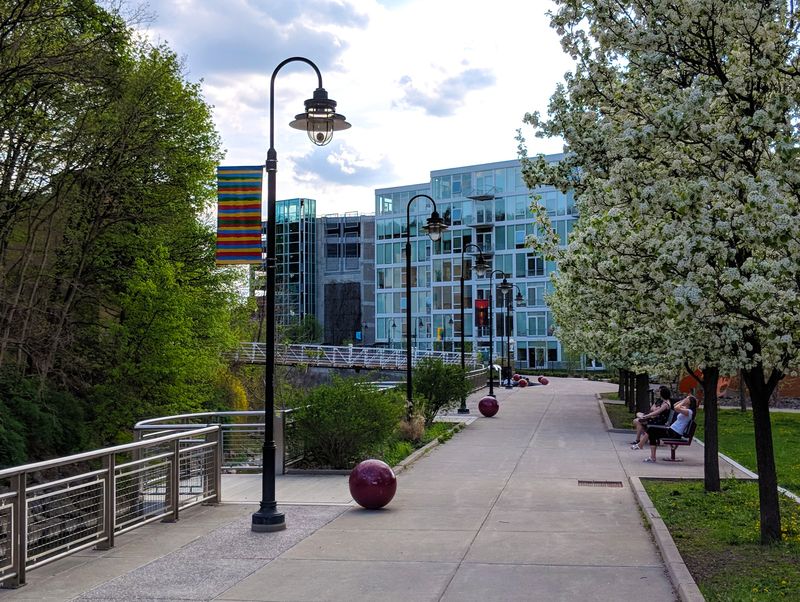 Cayuga and Green Streets were redesigned to establish a clear vocabulary of site materials and amenities that define Cayuga Green as a district. A key component to the design was the linkage of new bicycle and pedestrian circulation to the existing Commons commercial district.